Michael Maximovitch, the future Archbishop John, was born on June 4, 1896, in the village of Adamovka in the province of Kharkov in southern Russia. He was a member of the Little Russian noble family of Maximovitch, to which St. John of Tobolsk also had belonged. He received at baptism the name of Michael, his heavenly protector being the Archangel Michael. He was a sickly child and ate little. Kharkov, where Vladyka spent his formative years, was a true town of Holy Russia, and the young Michael, impressionable to revelations of holiness, acquired there the pattern of his future life. There were two miraculous Icons of the Mother of God, the Oseryanskaya and Eletskaya, which were carried in a religious procession twice a year from the monasteries where they were treasured to the Dormition Cathedral. In the Protection Monastery, in a frescoed grotto underneath the altar, lay the remains of the holy Archbishop Melety Leontovitch, who after his death in 1841 rendered miraculous help to those who served a panikhida for him at his coffin. Even during his lifetime the Archbishop was venerated for his severe asceticism, especially for the ascetic feat of abstaining from sleep. He was known to spend nights on end standing motionless, with lifted arms, deep in prayer. He foreknew the day and the hour of his own death. 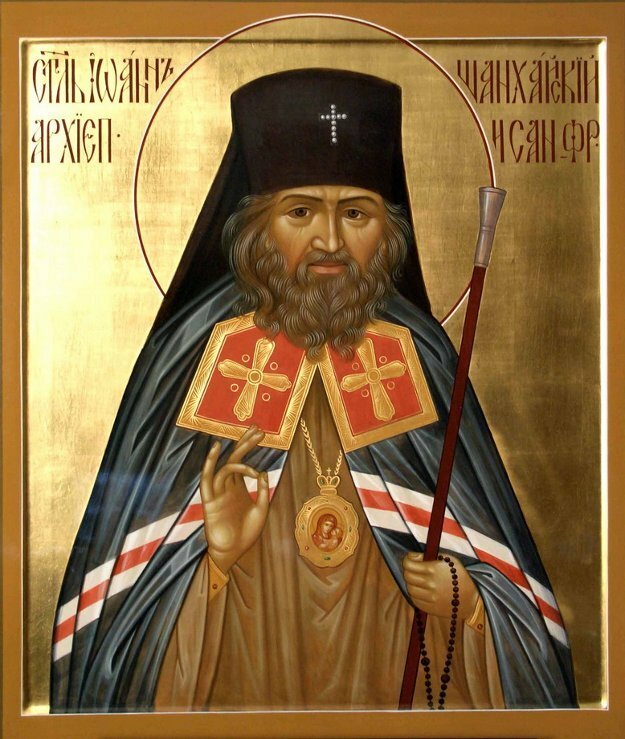 The young Maximovitch was known to have a veneration for this holy hierarch.